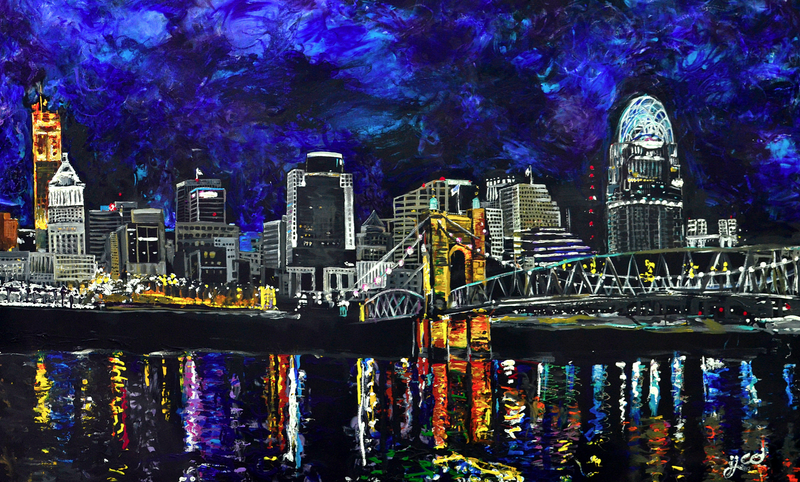 Excited to announce that this painting of the beautiful Cincinnati Skyline by Jeff Johns and Colin Daugherty sold yesterday for $2500. Looking forward to starting the next. 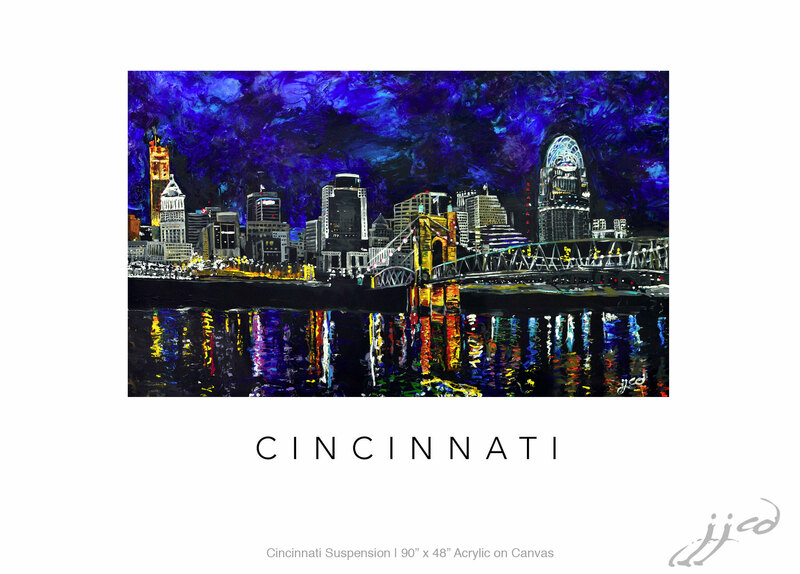 This entry was posted in artwork and tagged Art of Cincinnati, Art of the Cincinnati Skyline, artist that paint cincinnati, Beautiful Cincinnati, Cincinnati Fine Art, Cincinnati Skyline, Cincinnati Skyline Art, Cincinnati Skyline Paintings, Cincinnati's Beautiful Skyline, Colin Daugherty, Colin Daughtery and Jeff Johns, Fine Art of the Cincinnati Skyline, jeff johns, Jeff Johns and Colin Daughtery, JJCD Collaborations, Paintings of Cincinnati Skyline by jefferyjohns. Bookmark the permalink.